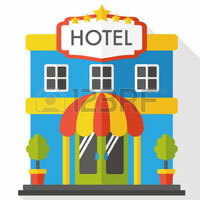 Browse the biggest discounts on hotels are listed here so you can enjoy great hotels at seriously reduced prices. Enjoy amazing offer get 50% off your trip with bcp packege deal. Take escape to killarney for a romantic break for two from €183. Avail 10% off when you book advance and prepay. Get 10% off for holidays taken between 11 January 2019 and 30 September 2019. Get family escape starting from just £1,050. Book Oriental Residence Bangkok for 30 days and get 15% discount on your booking. Download free app and get free coupon and vouchers. Sign up and get 15% discount on your first order at ResorTime. Get 25% discount on spa therapies. Get 35% discount when you stay 12 to 16 up to 31st may 2019. Avail 15% discount on january sale with this code. Avail up to 10% discount on summer fortnight.